Last week we had a luau for the students, which also happened to be our first BBQ of the summer. No, I did not just get the memo that it has been summer for the last several months, but because of different restrictions from the health department it is really quite the process to be able to cook outside. However, we got a temporary event permit, so I decided that we needed to make it more than just a plain old BBQ - and what better way than to have a fun luau! We had decorations and leis and of course - some cherry limeade cupcakes topped with a little paper umbrella! LOVE IT. *NOTE: This combo of corn starch and flour is to make cake flour. If you have cake flour on hand, use 6 cups of it. Preheat oven to 350 F degrees. Line cupcake pan with liners. 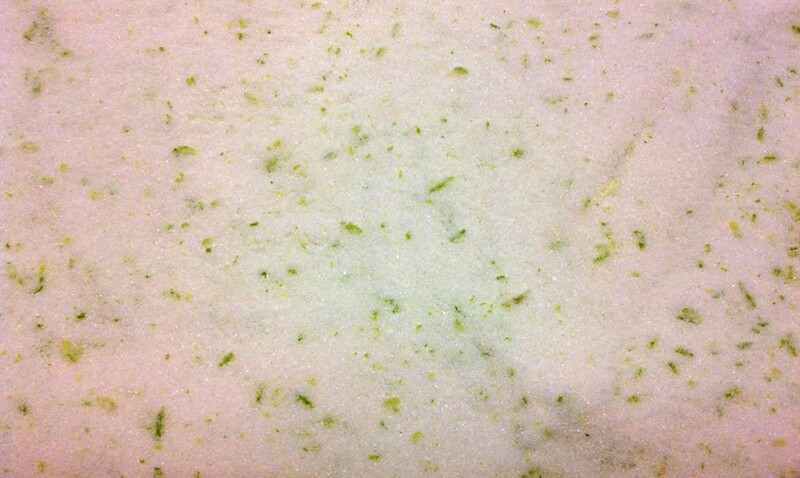 In a medium bowl, prepare the sugar by working the lime zest into sugar by pressing the back of a spatula down into sugar, thus releasing the oils from the zest into the sugar. 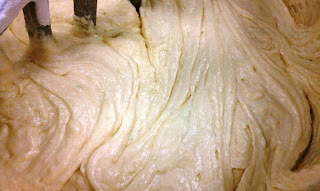 This process should take about five minutes, and the sugar will become very fragrant. Set aside. In another large bowl, sift together the flour, corn starch, salt, baking powder and soda three times. You really want to make sure the corn starch is very incorporated into the flour. Set aside. 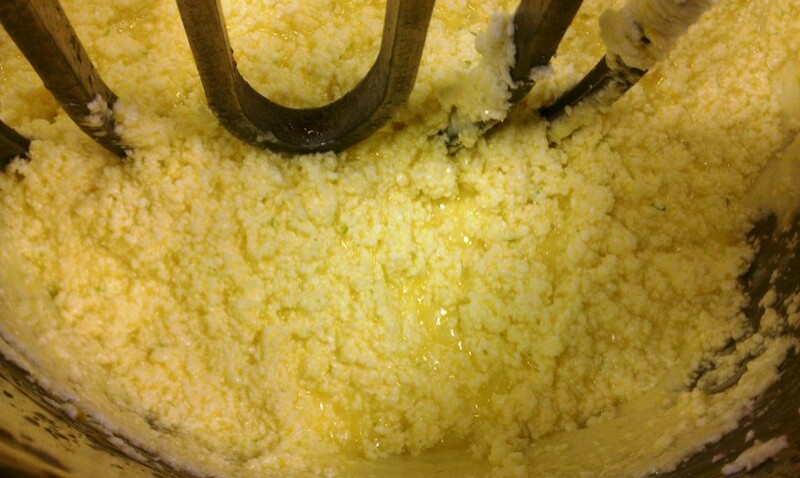 In the bowl of an electric mixer, cream the butter until smooth. 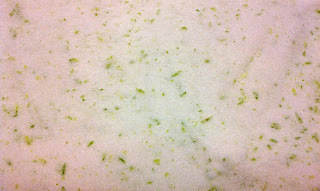 Add the lime sugar and mix on high until light and fluffy. Add the entire can of limeade concentrate and lime juice. Mix until combined. Don’t worry if it appears curdled… it’s normal at this point! In three parts, add the flour mixture. Between each addition of flour, add half the milk. Mix only until the flour is just combined. Add the hot water and mix by hand until incorporated. DO NOT OVER MIX! Fill liners 2/3 full, or use an ice cream scoop to distribute one full scoop into each liner. Bake for 17-19 minutes or until a toothpick comes out clean. Cool in pans for 5-10 minutes before removing to wire rack to cool completely. Once cool, poke 7-10 holes in each cupcake with a toothpick. 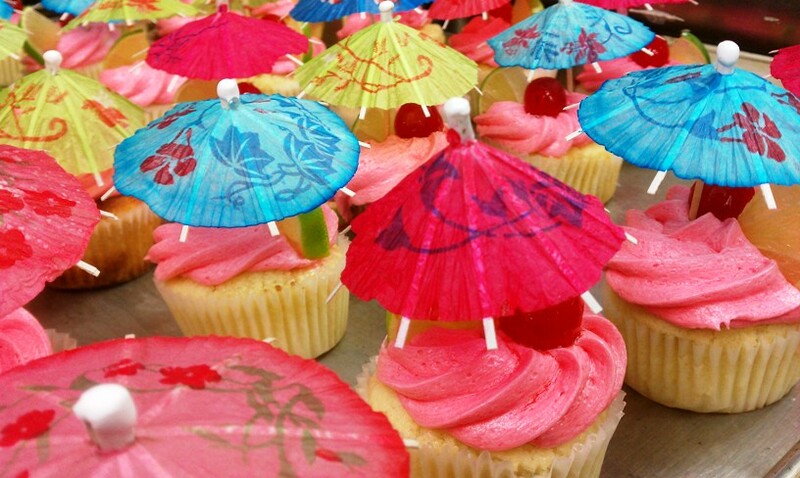 Drizzle a tablespoon of syrup over each cupcake, allowing it to soak into the cake. Whisk together the powdered sugar and thawed concentrate until all the sugar has dissolved into the concentrate. In the bowl of a stand mixer with the paddle attachment, cream the butter until smooth. Add the sifted powdered sugar, one cup at a time, to the butter. Cream after each addition. After half the sugar has been added, add the cherry juice and mix until combined. Add enough whipping cream until you get your desired consistency, you may not need all of it, or you might want to add more. Mix in the coloring. After everything has been combined, mix on high for 30 seconds. 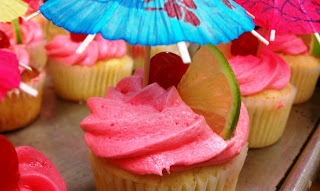 Pipe onto cupcakes and top with a cherry and lime for garnish. These turned out so fun and were perfect for the occasion! 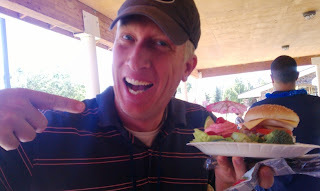 We served them along side a BBQ hamburger, pineapple & watermelon salad, chips, and a tossed salad. And look how convenient - here is Nate modeling his spread for us all to see! Happy baking, grilling and luau-ing!! YUM! looks awesome! will for sure be making these!!! Man that is one good looking burger:) and yes the cupcakes are the best-thanks Alyssa!